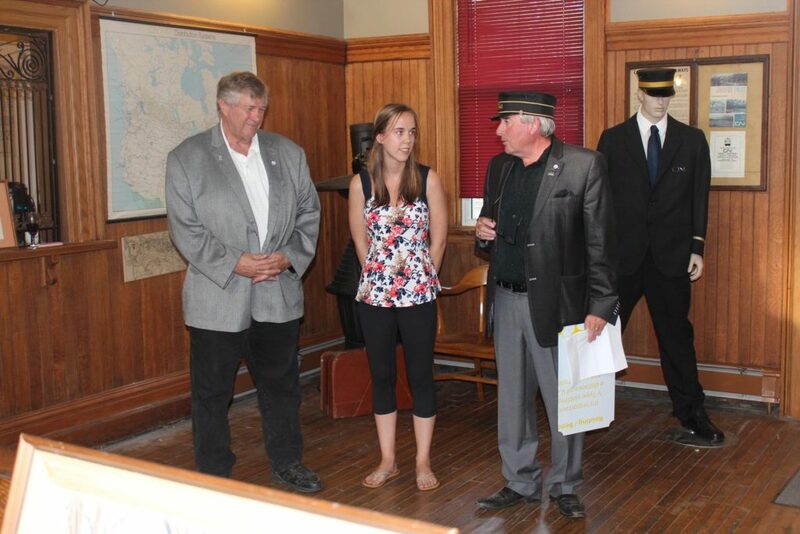 On Saturday, September 10, 2016, the Town of Minto and the Palmerston Railway Heritage Committee honoured a very influential member of our community, and an essential part of the continued development of the Palmerston Railway Heritage Museum. 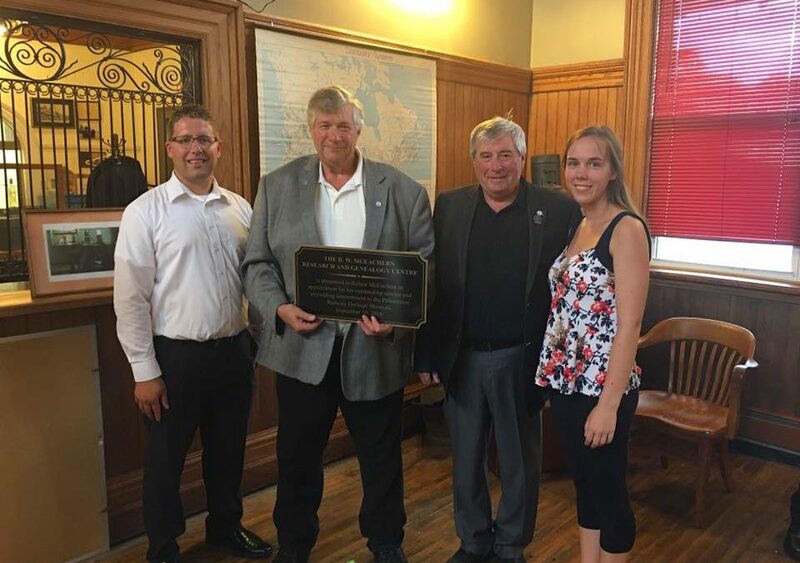 Local history buff and champion of the Palmerston Railway Station, Bob McEachern was presented a plaque and the establishment of the R.W. 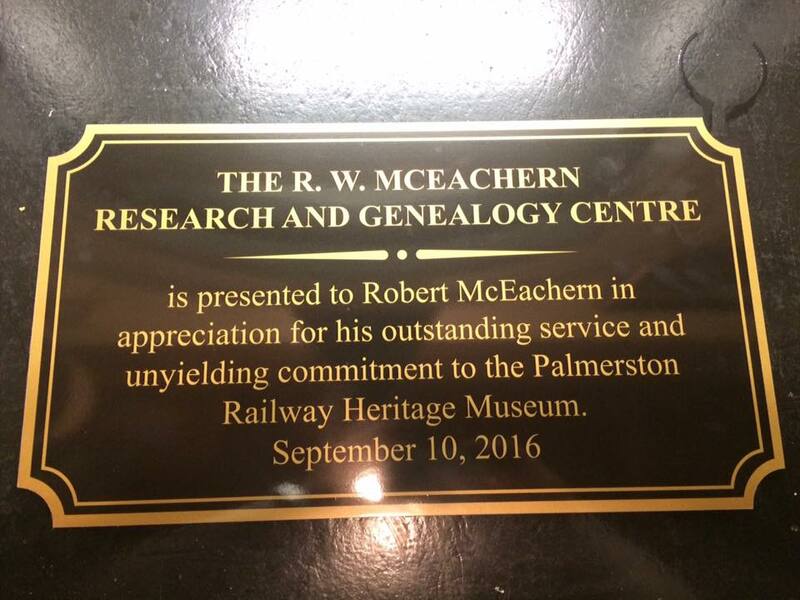 McEachern Research & Genealogy Centre in recognition of his years of outstanding volunteer service and unyielding commitment to the Museum. 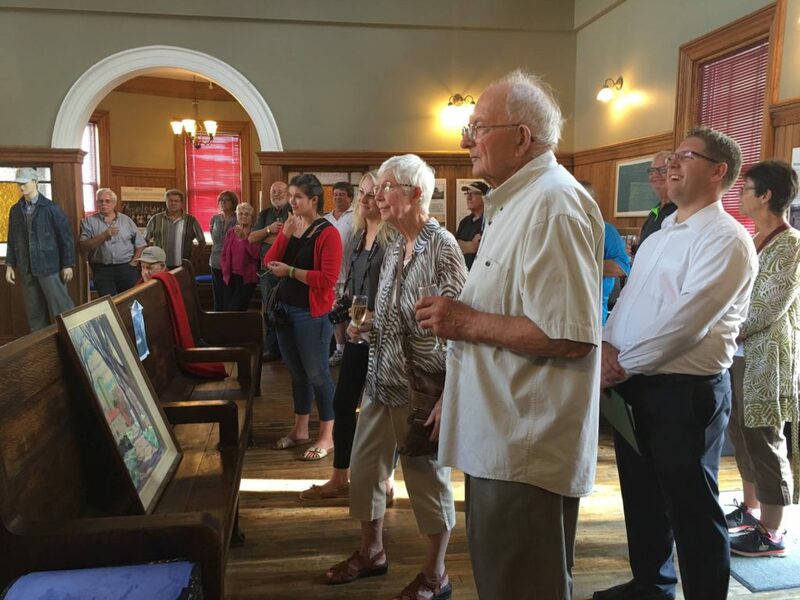 Our region is fortunate, grateful and very proud to have Bob in our community. Congratulations Bob – this is long overdue and very well deserved!